This entry was posted on 31/08/2018 by design365. 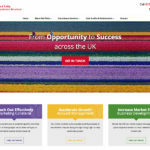 Red Tulip Business Services Ltd is a new marketing consultancy based in the North East of England. 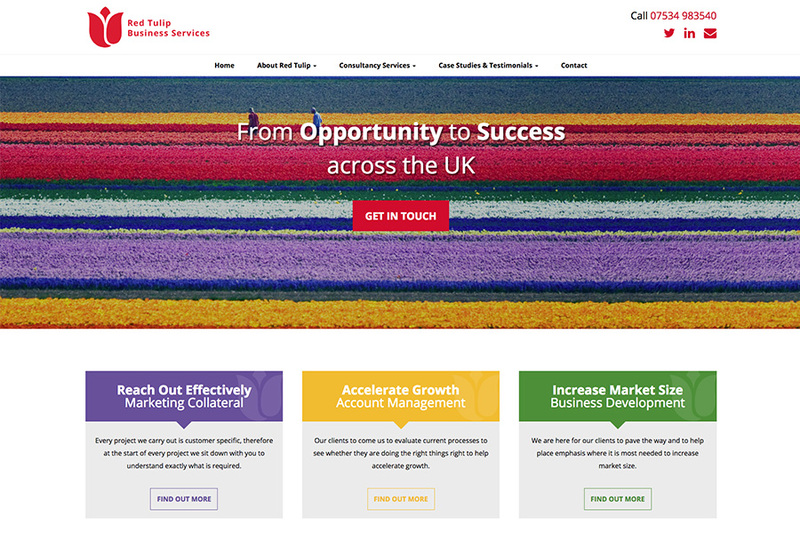 They wanted their new website to be content managed as they wanted to keep it updated and manageable themselves. They also wanted it designed around their current leaflets and marketing material to keep the brand tight. Our client is really pleased we were able to do both. The website is fully content managed meaning the owner can update all the website content themselves. As well as, they are able to update news articles and their blog. 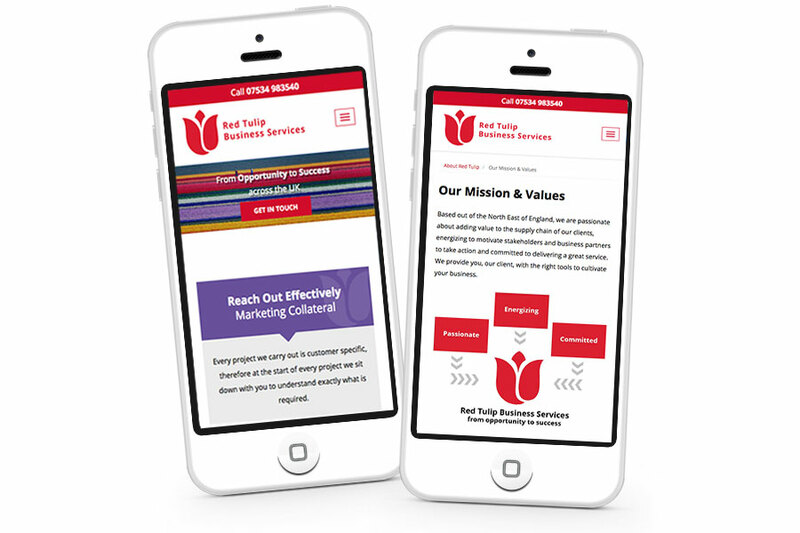 The site is also 100% true mobile responsive, meaning it is easily viewed on desktop computers, tablets and mobile devices. 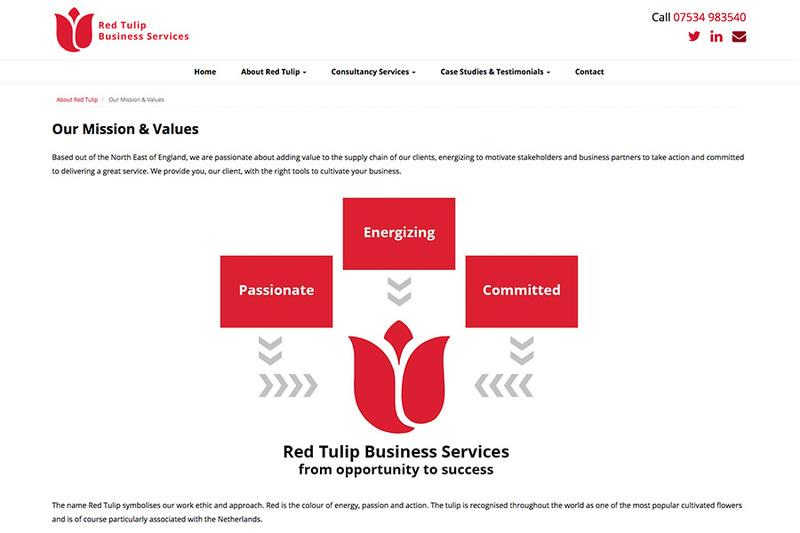 Please find below Red Tulip New Website. 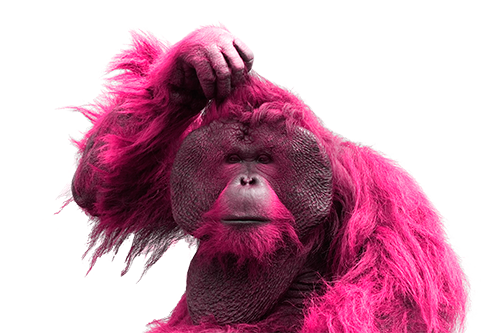 or visit www.redtulip.info and take a look yourself. Let us know what you think!